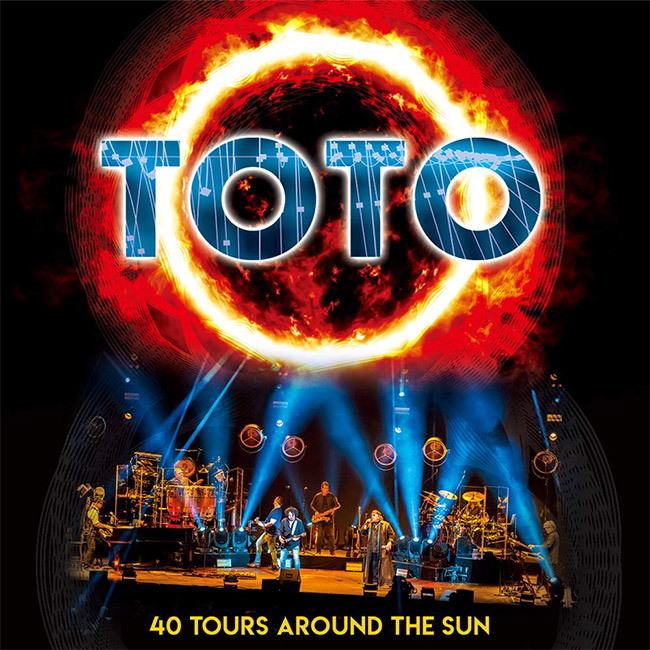 Eagle Rock Home Entertainment is releasing Toto: 40 Tours Around The Sun on multiple formats on March 29th. The set will be available on CD/Blu-ray, CD/DVD, 2 CD and 3 LP gatefold blue/orange starburst swirl vinyl as well as digitally. The film features “Africa,” “Rosanna,” “Hold The Line,” “Stop Loving You” and many more performed at Amsterdam’s Ziggodome on their 40 Tours Around The Sun Tour. In addition, the film features a Storytellers segment in which the band’s four key figures, David Paich, Steve Lukather, Steve Porcaro and Joseph Williams, plunder their back catalogue, describe the background behind their first demo and reveal the genesis of Michael Jackson’s Human Nature written by the band’s Steve Porcaro. In front of 17,000 fans this concert features songs from Toto’s first album to their latest release and includes rarely played gems such as the complex instrumental Jake To The Bone and the theme to David Lynch’s Dune. The DVD extras package includes exclusive interview footage with the band on the eve of the show as they discuss how their fathers’ Hollywood careers brought these immensely gifted players together and launched them into the hearts of music fans around the world.